Diamond Earrings There are 5 products. 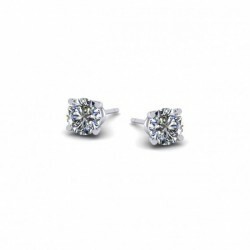 Princess cut diamond stud earrings. Set in Platinum. Linked wire open gallery stud earrings set in platinum. Round Brilliant diamonds set in platinum. Round Briliiant diamonds held in a six claw setting.